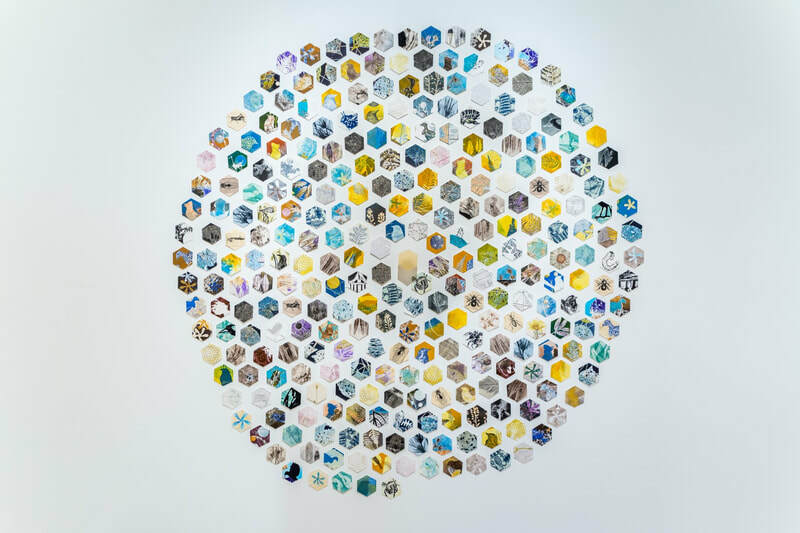 This installation of approximately 200 paper cutouts illustrates the diversity of natural habitats and the importance of pollinators for biodiversity. 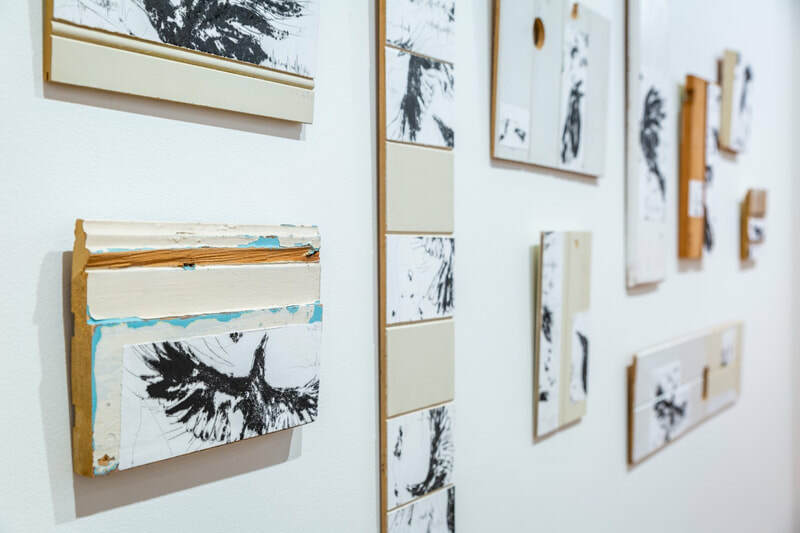 The pattern on the wall reflects the spiral pattern of the native stingless bee hive. 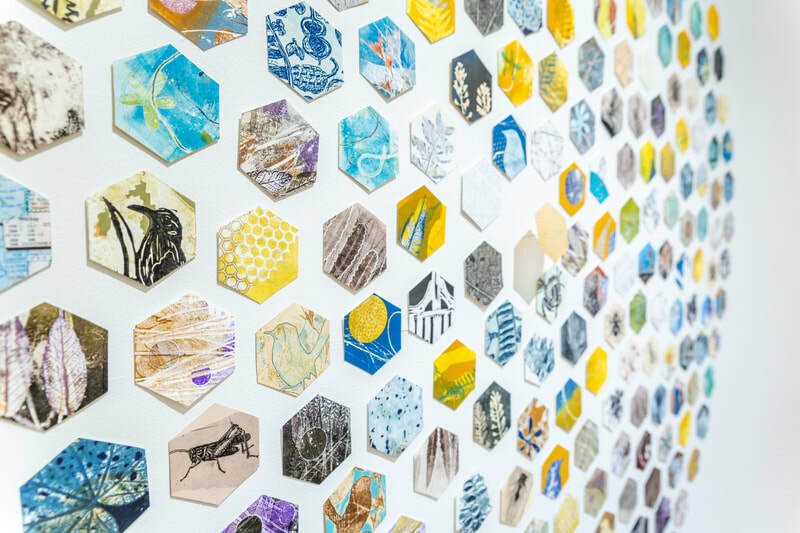 The paper cutouts are made from monoprints, etchings, flight maps, book text, atlas papers and the centre piece is bees wax. The pins used are entomological pins, used for pinning insects for museum collections. Exotics. Aliens. Weeds. There are many ways to describe those plants that pop up in places we don’t want them. We continuously uproot and poison our urban landscapes to rid ourselves of these spontaneous opportunists. But perhaps we should pause and take a closer look to appreciate the role of weeds in revegetating contaminated city spaces and providing habitat for connected species such as pollinators. 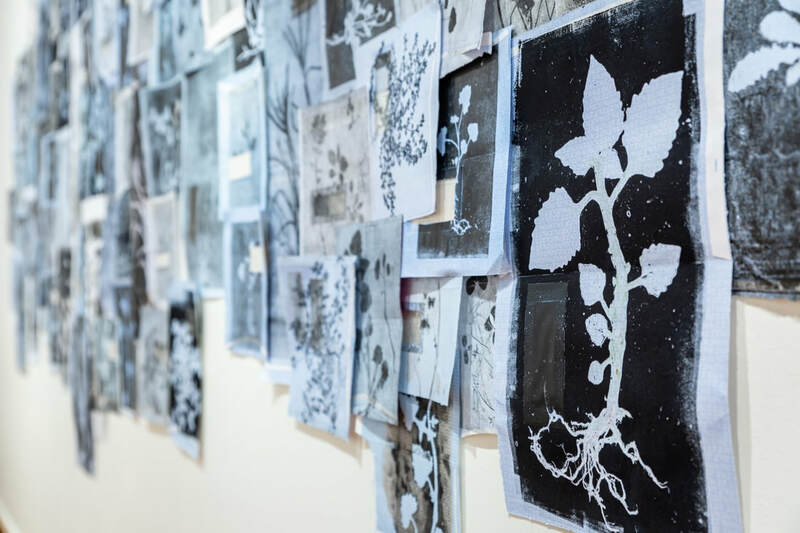 ‘A Second Glance’ seeks to readdress the imbalance and elevate the image of the garden weed. The often unnoticed elegant patterns within a business envelope provide the background to showcase their hidden beauty and grace. The colonial occupation of Australia has irrevocably modified the character, extent and connectivity of natural bushlands and eco-systems, creating islands of remnant wild areas in a sea of agriculture and urban development. 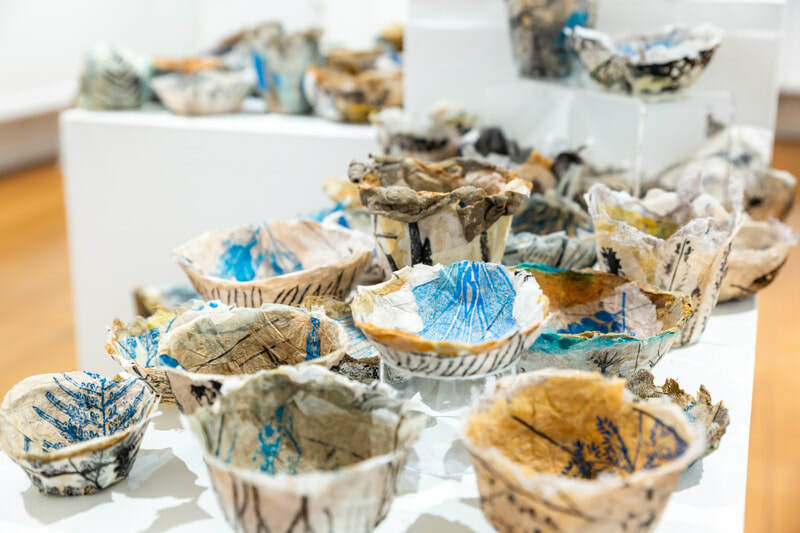 ‘Containment’ is a series of organic vessels that respond to this fragmentation of habitats and the subsequent impact on the biodiversity and survival of native plant species. 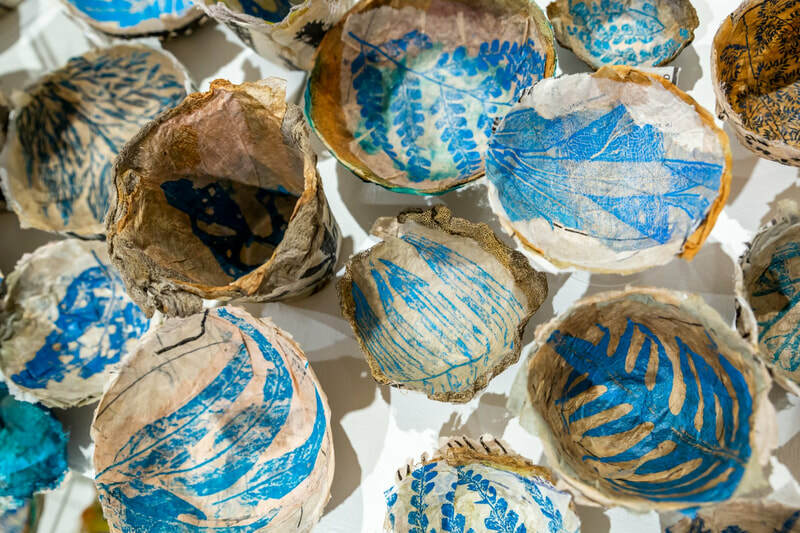 The vessels are imprinted with the imagery of leaves and grasses collected from local remnant bushland, memorialising the natural specimens into 3-dimensional representations of their fragility and impermanence. Currawongs are usually found in forests but in recent times, they have become more common along the coast including in the Brisbane CBD. Their melodious calls echo off the city’s hard surfaces and tall buildings, though its very difficult to see the birds themselves. The currawongs have adapted well to living in urban areas and their growing numbers have been implicated in the decline of smaller bird species. 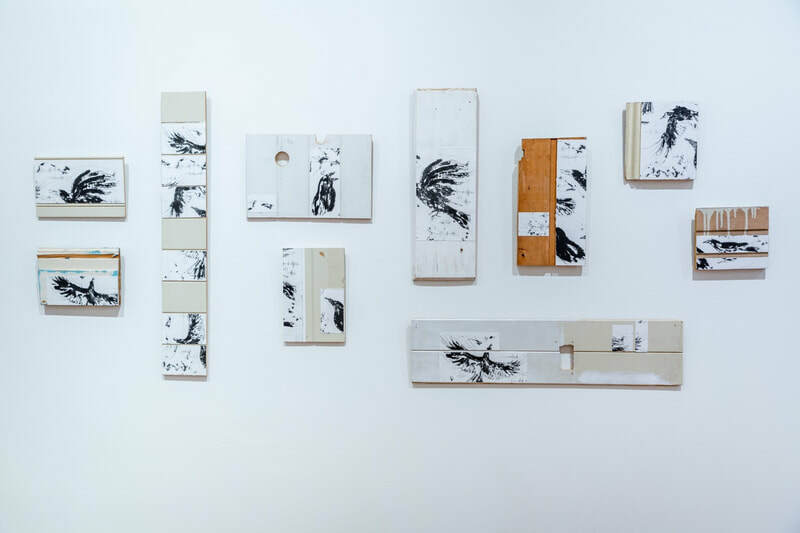 The use of old VJ boards in ‘Call of the Currawong, Brisbane CBD’ alludes to the growing connection between the currawongs and our built environment, with the printed imagery of the currawongs fleeting and fragmented.